Currently on Display is our on-going seven-part feature investigating the individual works that are included in the show currently on display at photo-eye Gallery. These artist features include the images selected for this exhibition as well as the artists' thoughts and inspirations behind the individual image or images. See more images from Edward Ranney here. See more images from Jamey Stillings here. Part seven concludes this Currently on Display blog series. Thank you for following the series and I hope that it helped you obtain a more personal understanding of the images. Though this exhibition is coming to an end, you can always view the work on our website or, if you are in Santa Fe, stop by the galley and I will be more then happy to pull the prints from our flat files. 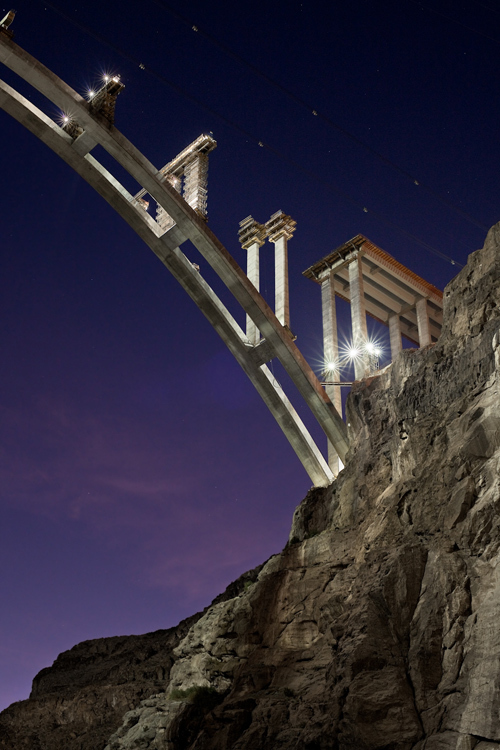 I am excited to announce that Friday April 8th we are opening a solo exhibition of Jamey Stillings' photographs of The Bridge at Hoover Dam with an artist reception from 4-7pm. The exhibition runs through May 20th. We had a smaller exhibition of Stillings' work in October of 2009, when Jamey had just started his project. 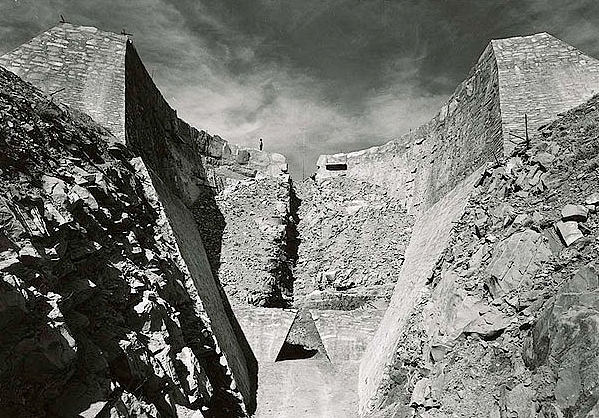 This upcoming exhibition covers the last 30 months of the construction up to completion. The work that we will be showing is a selection from a larger exhibit that is scheduled to travel for the next two years. The next stop is the Phoenix Art Museum. Please contact me if you would like additional information or would like to receive email updates about Edward Ranney, Jamey Stillings or any of the artists that we represent.